Memphis is full of talented young individuals looking for a way to leave a lasting mark on the city. 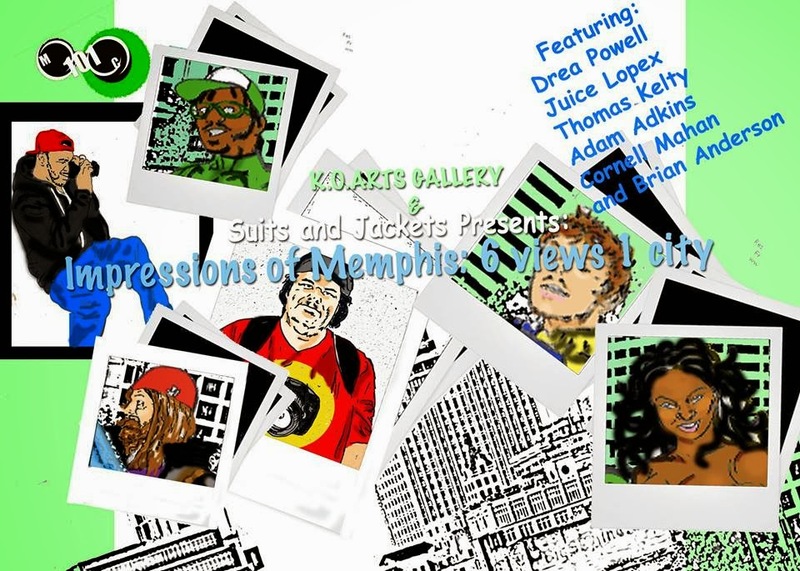 Within the realm of art, we are proud to display the works of individuals that personify the idea of a “Memphis Artist” in an inaugural show that will simultaneously introduce a new arts venue to South Main. The entire show is conceptually focused around the City of Memphis because it is the best way to introduce to old and new “Main Street” patrons emerging artists whose work they may have never seen before. With this inaugural show hosted in an emerging art gallery and law office (KOART Gallery), we will display works that exhibit the personal views of these artist toward the diverse city we love and live in. I also must thank and include Orrin Purdie and Lauren Parker. They are the owners of KOART Gallery and art enthusiasts. They played an integral role in making this possible, and the artists featured in this show greatly appreciate their patronage and support. There will also be music from 2 great acts from the beat collective Spoiler Alert. We have Nate "purplecatjane" Boogie and Charles "p l a i n t e x t" giving you their eclectic sounds. This show will fall in line with Trolley night, so if you are already attending the events of that day, why not go a little further down into the commercial district and see the show!